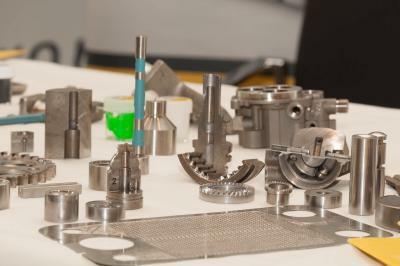 Today, the cleanliness of components is an important quality criterion in a broad range of industrial applications. This is substantiated by precisely defined residual contamination requirements, which in the meantime are included in part specifications just like other various parameters. Industrial parts cleaning has thus become a value creation step within the manufacturing process. As the leading international trade fair for industrial cleaning technology, parts2clean offers a complete overview of processes, media and measures for complying with and documenting required part cleanliness in an economic and environmentally sound fashion. The 5th trade fair for industrial parts cleaning will take place for the first time at the new Stuttgart Exhibition Centre in Germany, directly adjacent to Stuttgart International Airport, from the 9th through the 11th of October, 2007. The exhibition portfolio of the only multi-industry presentation and information platform for industrial cleaning technology covers the entire process sequence for parts cleaning. One of the event’s focal points will comprise systems for cleaning and drying parts, assemblies and components made of metal, plastic, glass, ceramics and composite materials. Virtually all renowned manufacturers from this field will once again exhibit at parts2clean 2007. Further trade fair topics include alternative cleaning processes such as CO2 snow-jet, plasma, laser and biological cleaning, cleaning agents, treatment and disposal of process media, filtering equipment, handling and automation systems, washing racks and workpiece carrier systems, devices and processes for cleanliness testing and quality assurance, as well as cleaning job-shops, consultation, services and R&D. Comprehensive offerings presented at parts2clean make it possible for expert visitors from the motor vehicles industry, machinery and equipment manufacturing, medical engineering, the valves and fittings industry, fluid technology, the clock and watch industry, precision engineering, optics, the food processing industry, microsystems technology, electrical and electronics manufacturing and the semiconductor industry, as well as turning and galvanising shops, hardening plants, painting and coating operations and many other industrial sectors to gather information regarding products and services for their own specific cleaning tasks at a single location in a targeted, time and money saving fashion. The great demand for information in the field of industrial parts cleaning is also met by parts2clean with an integrated expert forum. Competent speakers from R&D, industry and various associations will inform visitors regarding a variety of topics covering all aspects of parts cleaning as part of the manufacturing process in practical, application-specific presentations. Participation at the expert forum is free of charge for parts2clean visitors and exhibitors. Further information is available at www.parts2clean.de.